The 3rd annual Global Security Industry Alliance (GSIA) Gold Shield award winners for outstanding contributions in the global security industry were announced today in a glittering ceremony on the sidelines of the 14th China Public Security Expo (CPSE). The GSIA Gold Shield awards have become regarded as one of the most coveted awards in the global security industry and are presented every two-year at a Global Security Industry Awards Ceremony attended by over 1,500 industry professionals from around the world. This year the GSIA Awards Committee received 50 Gold Shield award nominations from around the world. "The Awards Committee had the very difficult task of choosing just 12 nominees out of a slate of 50 outstanding candidates who, individually and organizationally, work to raise the standards of care in the industry, promote fair trade and technology innovation, and to build a responsible global security community," said Mr. Richard Chace, Chairman of the GSIA. The Awards Committee also evaluated each candidate's contributions in promoting industry outreach to further environment friendly technology development, resource conservation/recycling, and social responsibility. "All of these award winners have histories of statesmanship in the global security industry and each has set the standard for how one contributes to the responsible growth of the security. This award is a testament to their professional achievements, leadership ability, knowledge, ingenuity, and legendary contributions in the development of the global security industry,” said Chace. 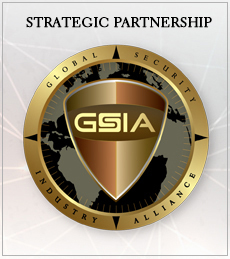 Hailed as the "global security industry’s highest honor" by CPS International Magazine, the Gold Shield Award, presented by the Global Security Industry Alliance (GSIA), is now considered one of the global security industry’s leading awards.